With only seven days to go, the Gerrit User Summit is approaching fast! There has been a lot of discussion on the Gerrit usability on a recent discussion thread on the GoLang project. More and more the focus of OpenSource communities is the ease of adoption and contribution, after of course the solidity and efficiency of the review process. A usable interface, clear and self-explanatory even for newbies, could contribute to the success of a project. In July, the entire Chromium project moved from Rietveld to PolyGerrit: this event has brought a lot more users to the Gerrit platform and triggered a creative and open debate on the future of Gerrit UX. Chromium’s unique workflow has been the driver of lots of improvements, some of which will be landing in Gerrit 2.15. 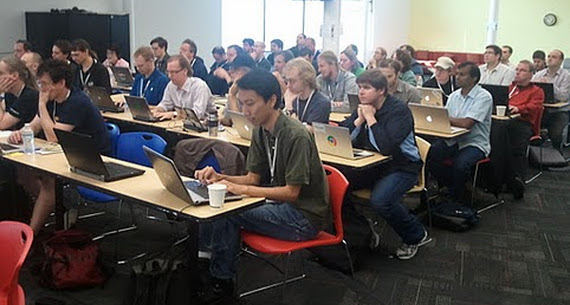 Logan Hanks from Google will present at the forthcoming Gerrit User Summit in London the discoveries and developments of the v2.15 PolyGerrit UX, mainly driven by the same people that are using it every day on the Chromium project. There is a new visual design for the change view to present. You may have already seen some elements of this design rolling out to googlesource.com. Arnab Banerjee from Google will take us through the complete design and show us where it’s going in the coming weeks. A PolyGerrit booth has been set up at the conference to allow anyone to experiment the new UX and go through some research trials to provide meaningful feedback for the evolution of the user interface. The Gerrit User Summit 2017 is almost entirely booked: HURRY UP AND REGISTER TODAY so that you can see and be part of the evolution of the Gerrit UX. Your user-journey and requirements can be part of the next version of Gerrit, be part of the change and part of the Community. More exciting talks to come as well, including multi-master, a brand-new Jenkins integration and an exclusive Q&A face-to-face with the Gerrit maintainers. See the full schedule at the Gerrit User Summit 2017 site.